Doggles dog goggles are designed to protect dogs' eyes from the sun's harmful rays, flying debris, wind, rocks, or bugs. Your dog can't tell you his eyes hurt, so be proactive and protect your dog's eyes with these ILS Silver Frame with Clear Lens Doggles! We love the clear lenses for dogs that prefer not to have their vision altered. 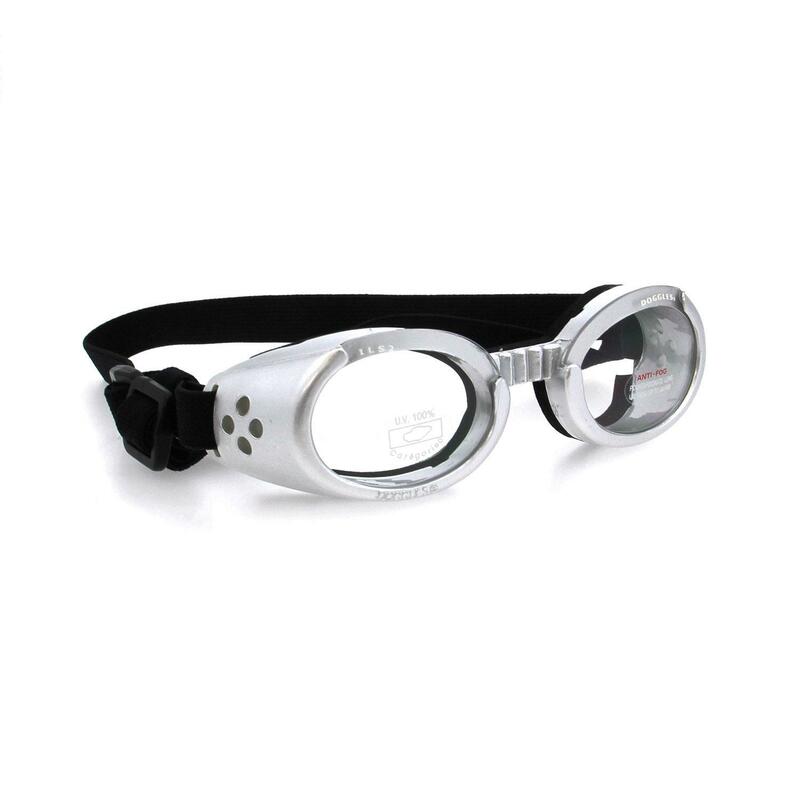 These are also ideal for dogs requiring indoor eye protection since the lenses are clear. Dogs with protruding eyes and limited vision will find these to be a helpful solution for protection. Dogs with dry eyes may also find these dog goggles to be helpful and are comfortable enough for all-day wear. Doggles also come recommended by Vet Ophthalmologists to protect their patients in all types of situations and also after some types of eye surgery. And don't forget that these Doggles with silver frames and clear lenses are in the height of dog fashion!